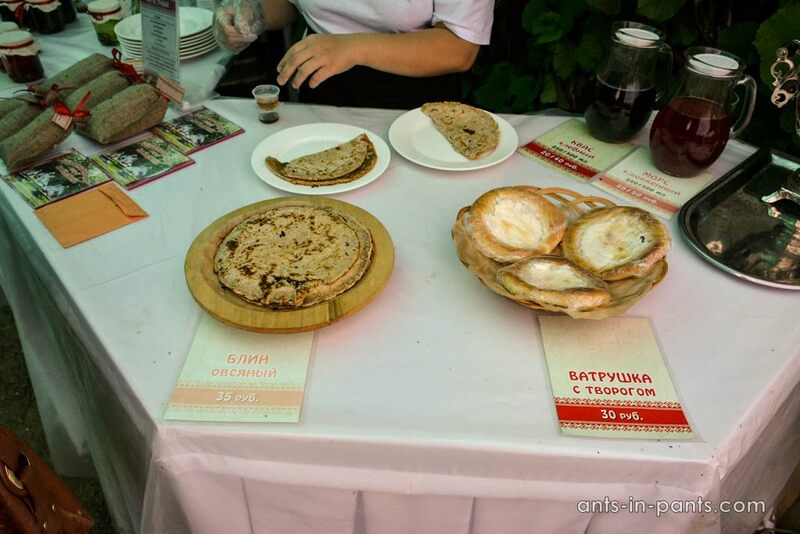 If tourists only knew about the existence of Kozmodemyansk, they would never go to the places like Moscow, Saint-Petersburg, Kamchatka, Karelia, Baikal, and other popular regions and cities of Russia. 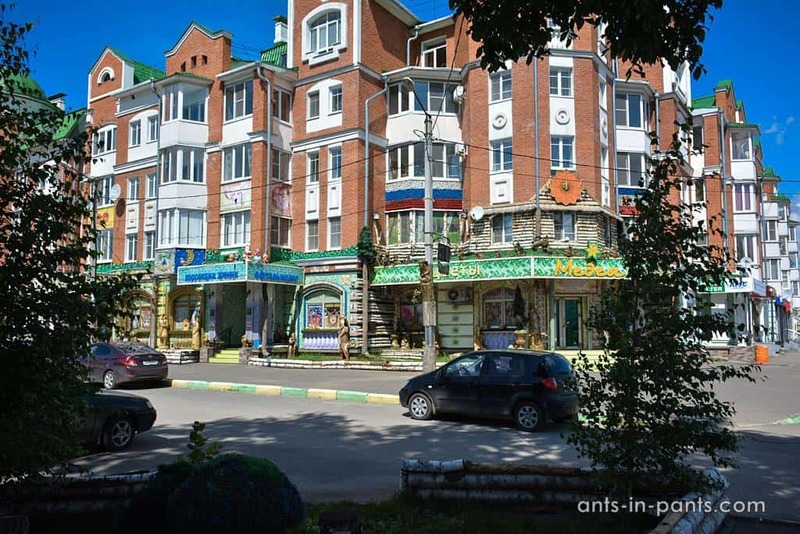 We are absolutely serious: Kozmodemyansk is Russia off the beaten path with unique charm and not less attractions per capita than in Moscow; these attractions are also very unusual. 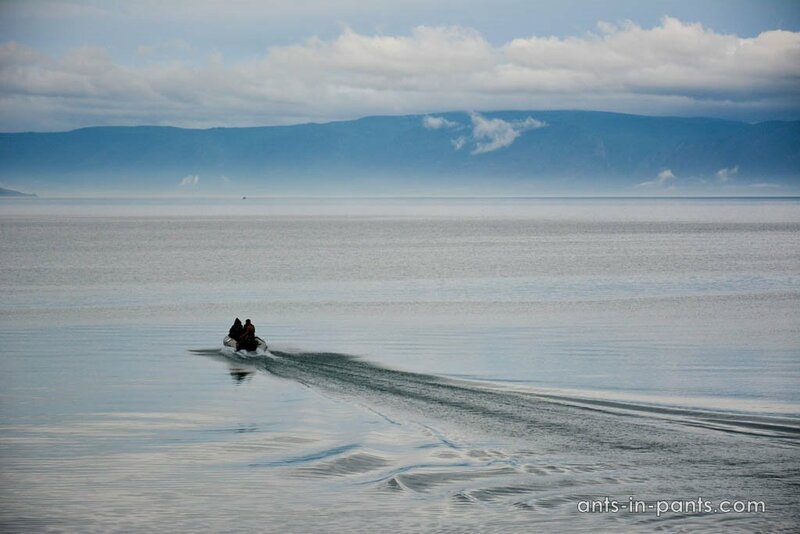 Moreover, there is a lot to see nearby: in Mari Republic, Chuvashia, and Tatarstan. 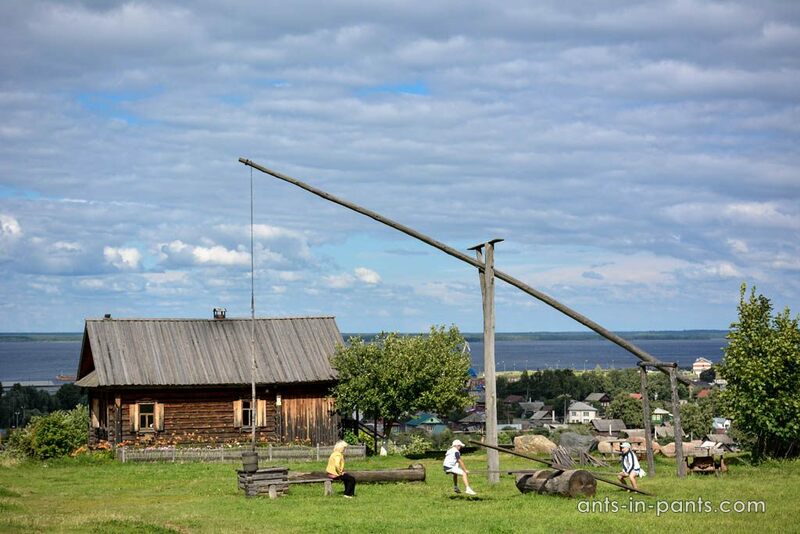 We recommend to start with the ethnographic open-air museum which recreates the everyday life of Hill Mari people. 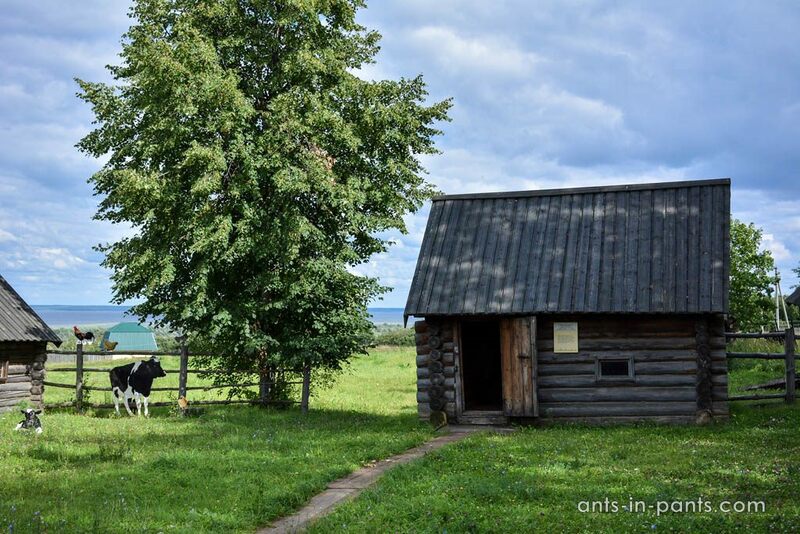 Indeed, Mari are not homogeneous and two Mari groups – Hill and Meadow Mari differ by the place of settlement, language, traditions, everyday life and culture. 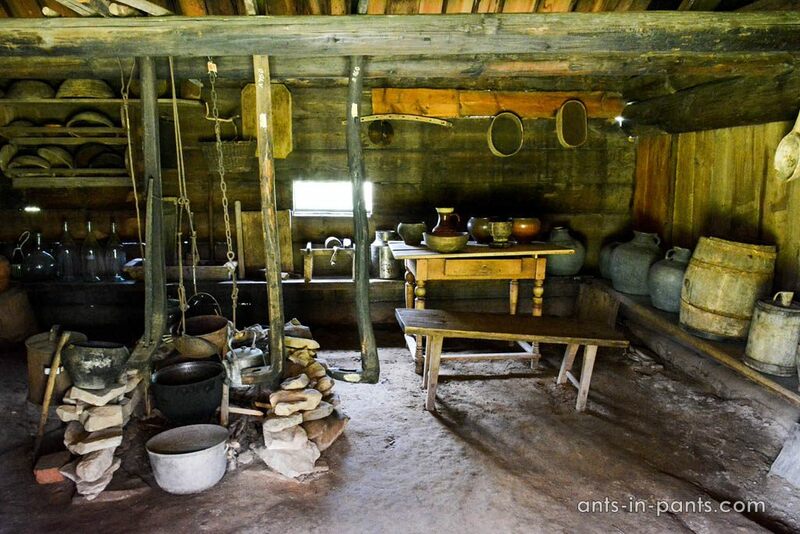 Here you may not only get to see traditional Mari culture, houses and house equipment of Hill Mari, but also try the Hill Mari food: the museum has a food catering company in it. 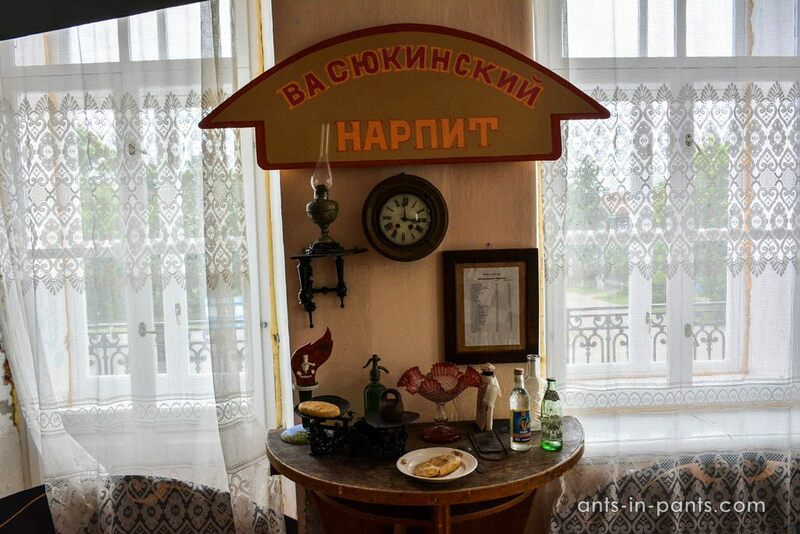 Another mustsee is the Museum of Ostap Bender – the protagonist of a legendary satirical Soviet novel 12 Chairs. 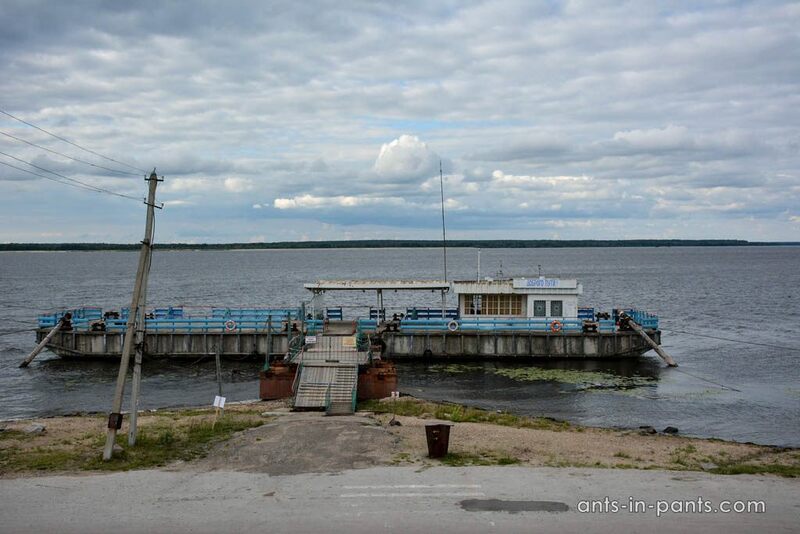 Bender was a famous trickster, and the authors as if had used Kozmodemyansk as a prototype of fictional Vasuki town in which Bender cheated people in a huge chess tournament he organized. 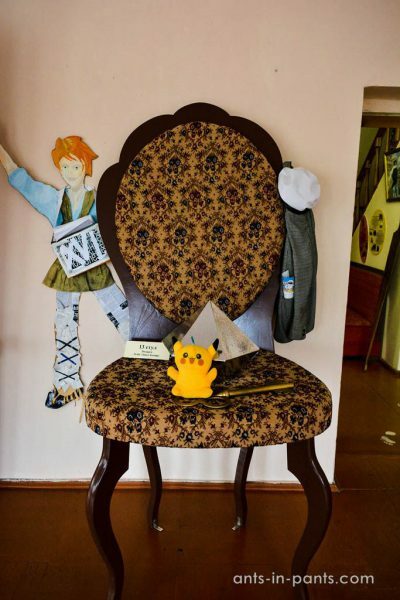 In museum, you may take pictures wearing the clothes of the book protagonists. 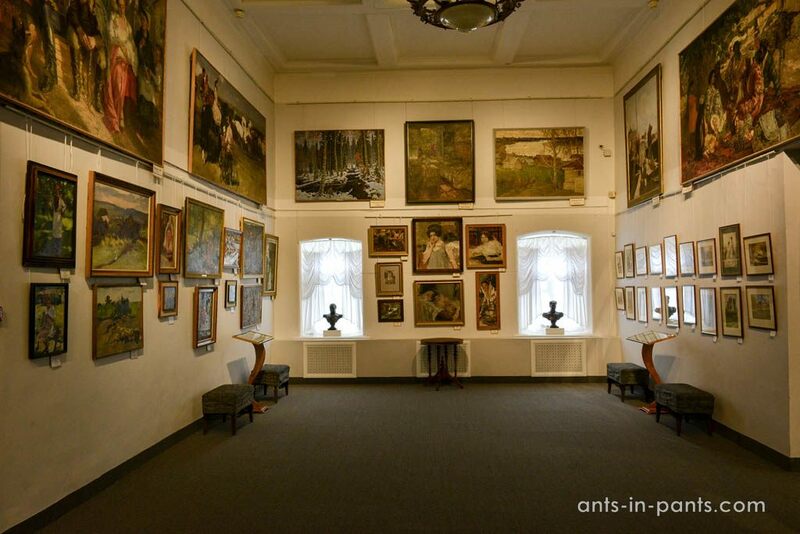 The Art and History Museum of A.V. 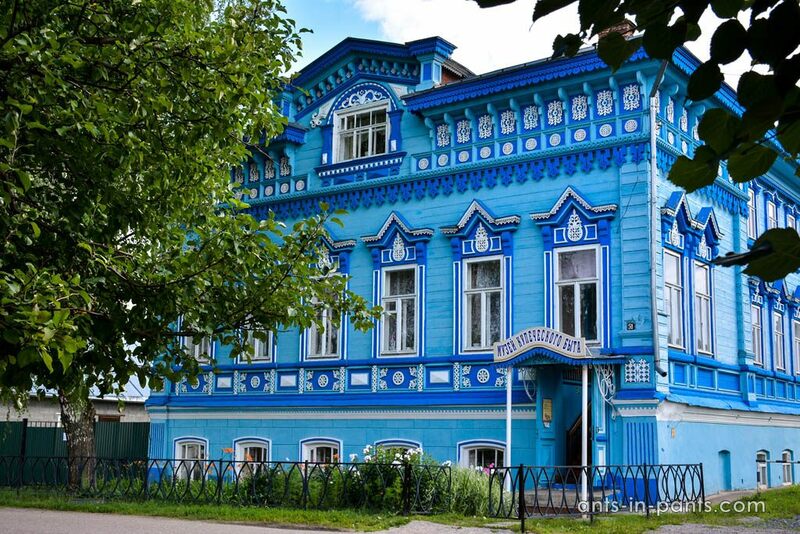 Grigoryev is where you will see paintings by Ivan Ayvazovsky, Pavel Radimov and Grigoryev himself. 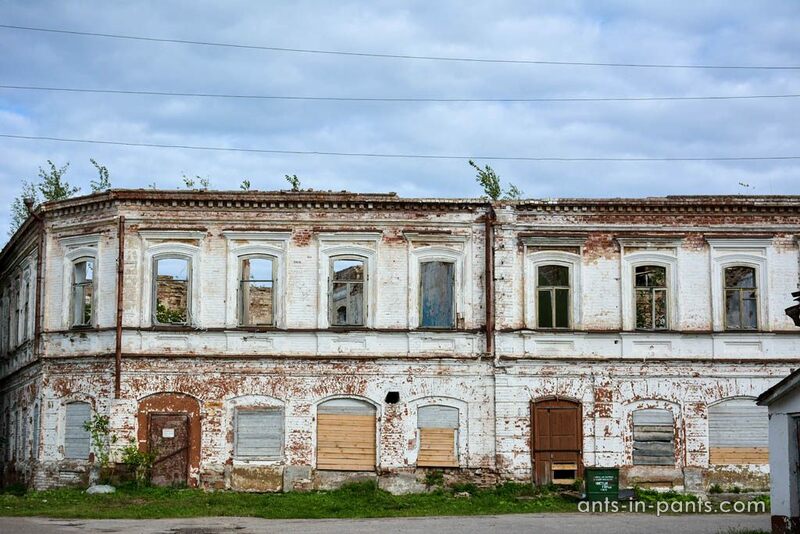 The museum started at the beginning of the 20th century as a travelling exhibition bringing art to the people of this region, but the exhibition once stopped in Kozmodemyansk – forever, and many artists moved to work here. 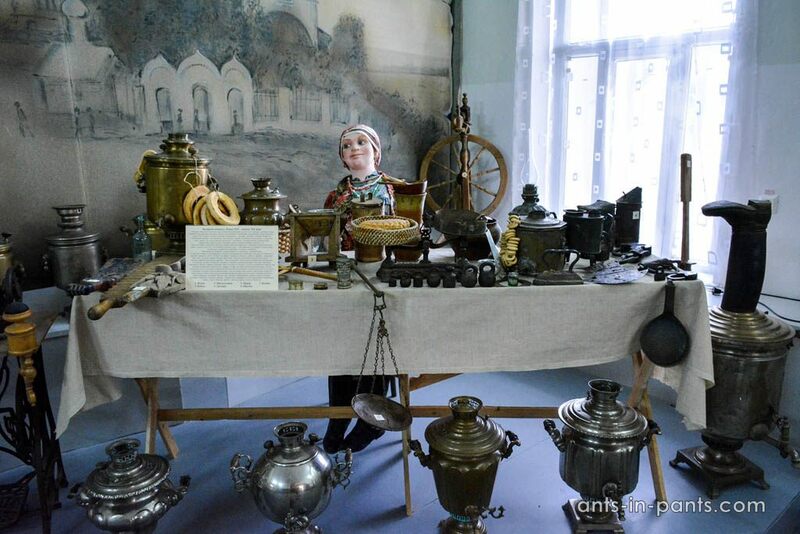 The Museum also includes a small ethnographic exhibition. 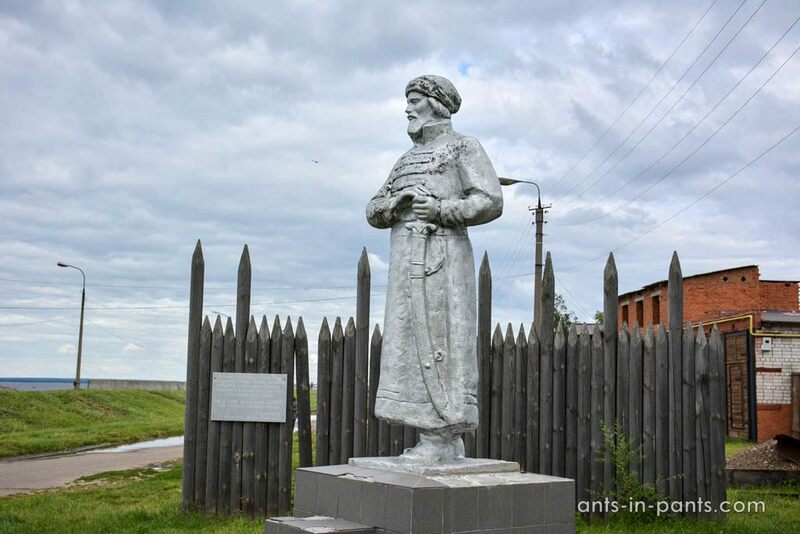 There are many attractions around Kozmodemyansk too, as, for instance, the monument to Akpars. The Hill Mari hero Akpars is known for having helped Ivan the Terrible to capture Kazan. 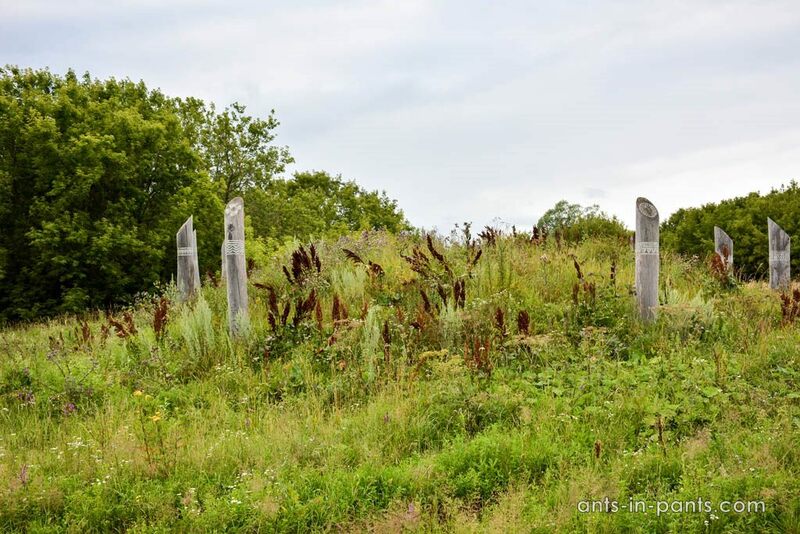 Pepkinsky Burial Mound is a unique monument to the late Bronze Abashevo culture. 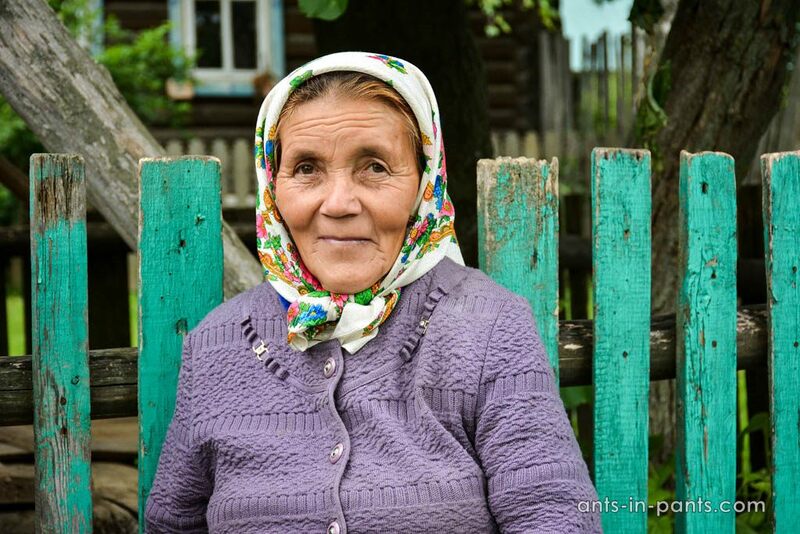 Abashevo people are ancient cattle herders (2nd century BC). 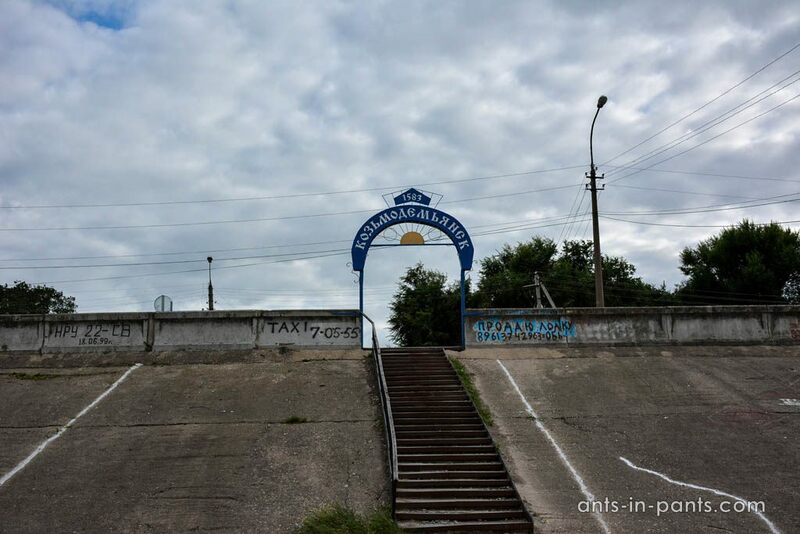 The Burial Mound is known for the strange burial of Abashevo people. When discovered, it contained 28 skeletons with their legs bent and two skulls; the dead were 18-25 years old. Until now archeologists and anthropologists cannot understand: what was the reason of their mass death? Most probably, they died at the attack, but it is unknown who were the attackers. 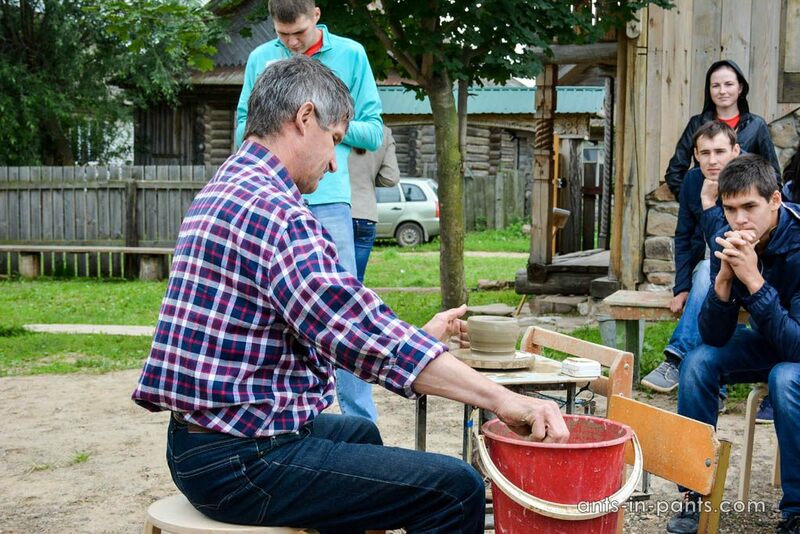 The world renown aquarelle artist Victor Aldushkin renovated his parents’ house in the village of Moroskino not far from Kozmodemyansk to create a museum of traditional Mari culture – again, that of hill Mari. 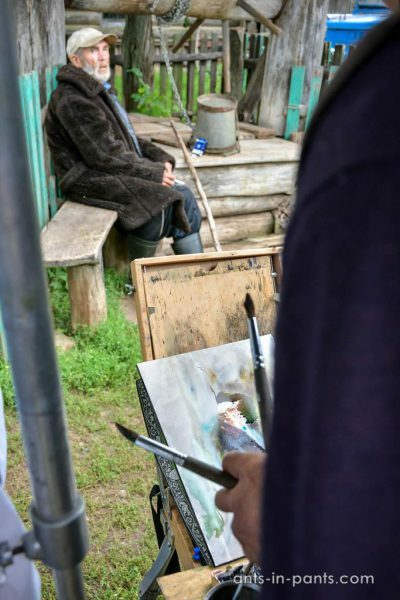 You may get to a variety of workshops of Mari handicrafts, including the workshop on aquarelle by Aldushkin himself here. Is not it a lot for a small town and its surroundings? 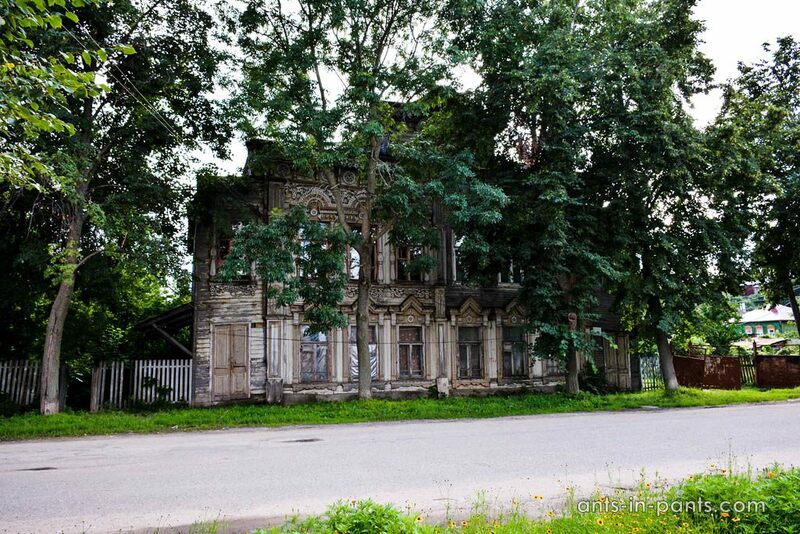 Even if you do not try to catch all the attractions in Kozmodemyansk, it is very pleasant just to walk around it.